The Chinese government is criticizing the Trump administration's proposal to place restrictions on Chinese visa applications, a day after U.S. press reports suggested Chinese students will face limits on their stays. 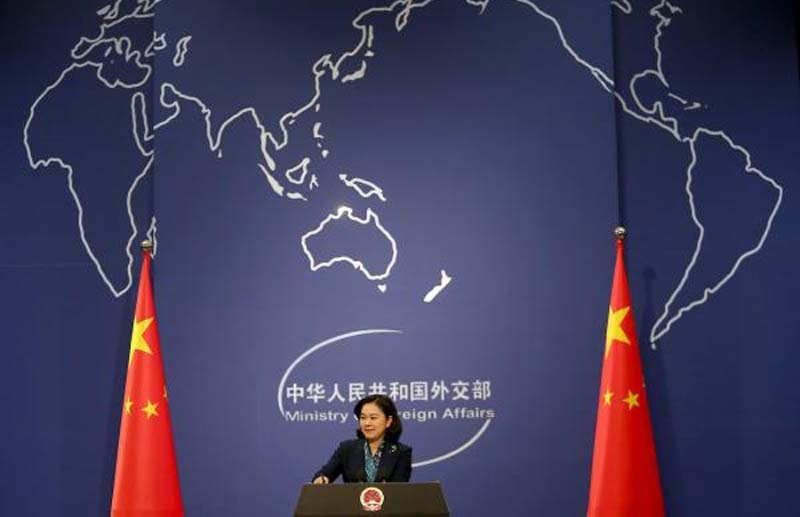 Beijing's foreign ministry spokeswoman Hua Chunying said Wednesday the reports are not encouraging, South Korean news service Newsis reported. "Conveniences that facilitate bilateral exchange should be provided. We should not act in the opposite manner," Hua said, referring to emerging U.S. visa policy. The Trump administration is preparing to establish limits on Chinese visa applications to protect U.S. intellectual property, a State Department official told Bloomberg on Tuesday. While the details have yet to be finalized, the policy would shorten the time Chinese citizens can spend in the United States. Visa applications would also be determined on a case-by-case basis, according to the report. The visa rules target Chinese students studying in the United States specializing in the sciences, who are currently allowed to study and work for a maximum of five years. The new restrictions could go into effect June 11, and the State Department reserves the right to place an earlier date of expiration on select visas. On Wednesday Hua said the Chinese government was apprised of the reports. "Strengthening people-to-people exchange between countries is an important foundation for cooperation," the spokeswoman said. "Simplification of visa procedures between the United States and China must be in the common interests of both our sides." Earlier on Tuesday Trump said Washington would impose tariffs on $50 billion of Chinese imports.